The Z11 Neo allows for installation of mATX or ATX motherboards. Due to there only being 7 PCI slots, there could be a lack of expandability with certain motherboards and the Z11 Neo isn’t an optimal case for multiple GPU setups. 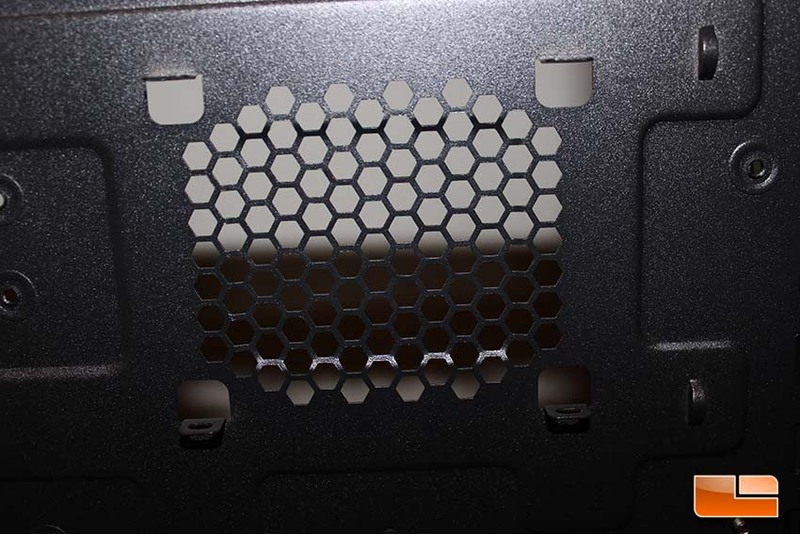 The motherboard tray features a large CPU area cutout for the installation of aftermarket CPU coolers. The case doesn’t come with standoffs built directly into the tray, as we’ve seen in other cases as of late, but rather uses traditional standoffs. Zalman installs four of these and leaves installation of the rest up to the customer, based on the motherboard they are using. The glowing omission here is the lack of rubber grommets on the cable management holes. It’s 2015, Zalman. 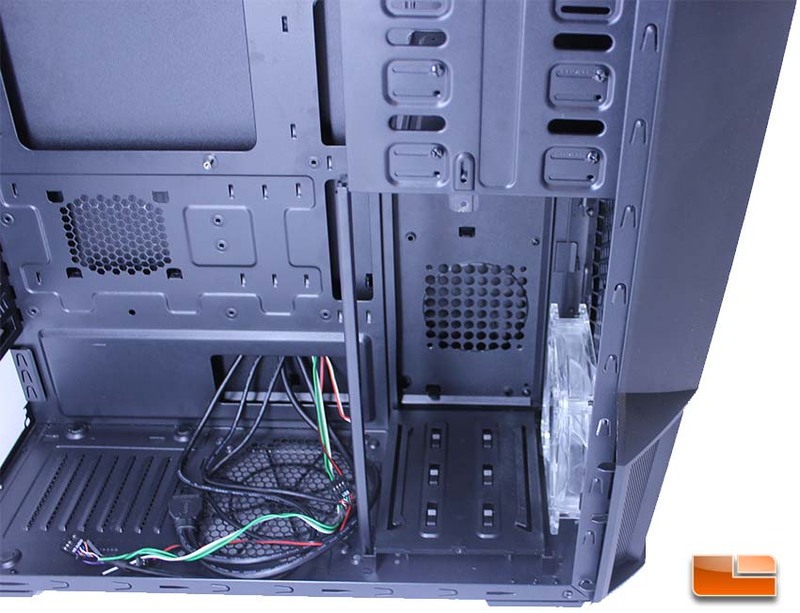 Less expensive cases offer these grommets and while it isn’t a deal breaker, they would really enhance the internals. Another aesthetic complaint is that the motherboard header cables are multicolored. Other manufacturers have stepped up as of late and are shipping cases with header cables in a uniform color, which really enhances the looks. It’s a simple thing Zalman could do to show attention to detail that they omitted. 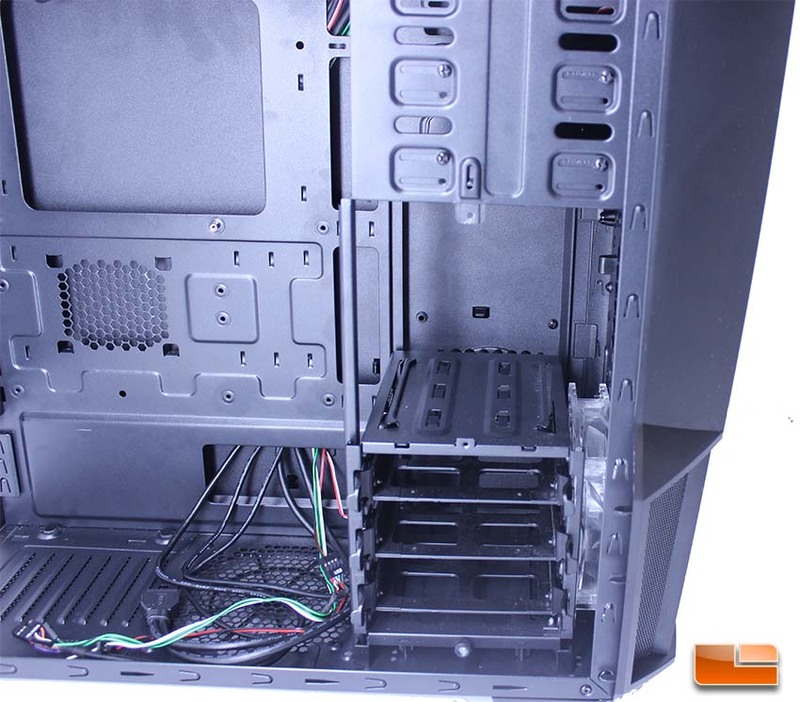 Zalman opted to go with a three 5 1/4″ drive bay setup, but only one drive is accessible, as the bottom two bays are covered by the front fascia. These bays do not include a tool-free design, instead Zalman includes thumbscrews, which will be a let down for many. Personally, I still screw my optical drives into the case as I prefer the security provided by this method. I really feel like Zalman limited this case by making two drive bays inaccessible. They do include 2.5″ drive adapters in these spots so that you can install SSD’s, but I don’t think many users will go that route. Zalman had to make a choice between aesthetics and function here and they choose aesthetics. I can see this being a detractor for people who would use these locations for bay reservoirs or fan controllers. 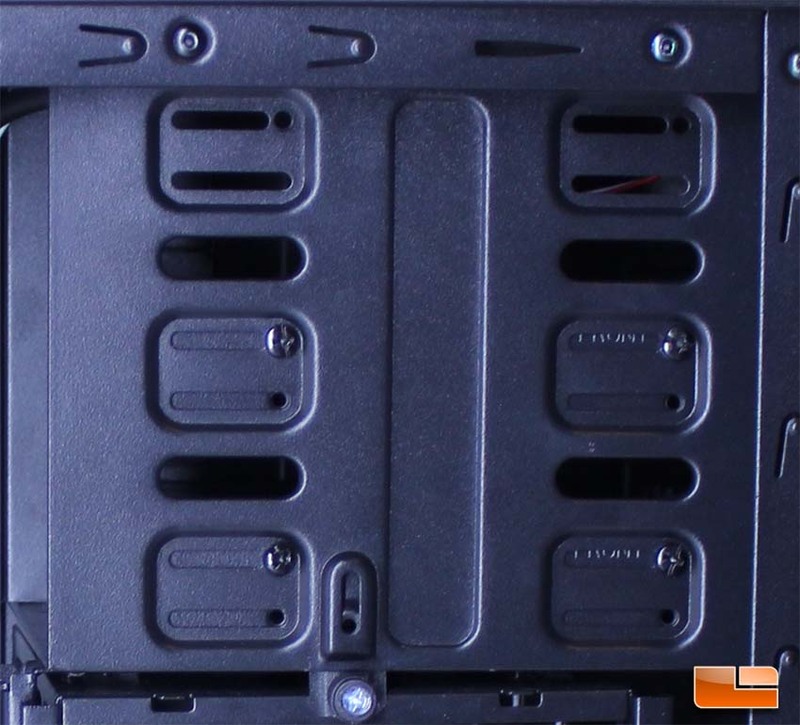 The removable 3.5″ HDD bays are removed via two thumbscrews. 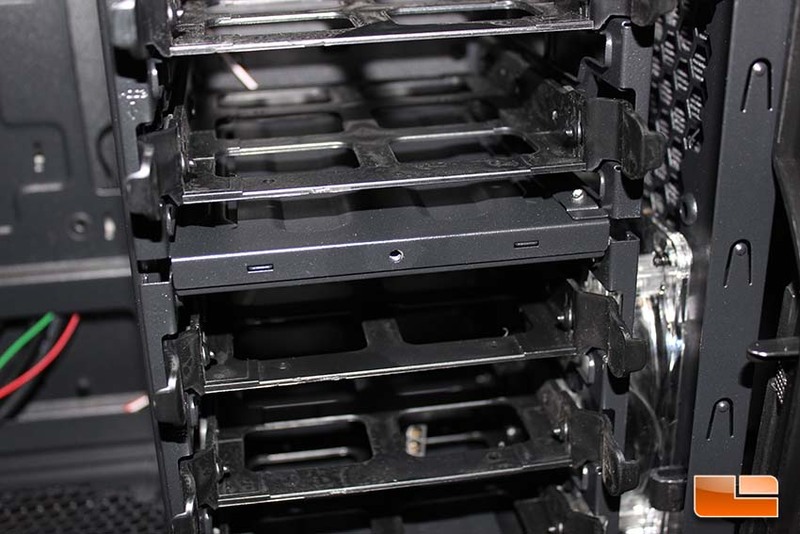 When removing the top thumbscrew, you must lift a tab to slide out the top 3.5″ HDD cage. Removing the middle HDD bay will allow for more airflow and longer graphics cards to be installed. The bottom bay can also be removed, but there will be limited application for this in the Z11 Neo. 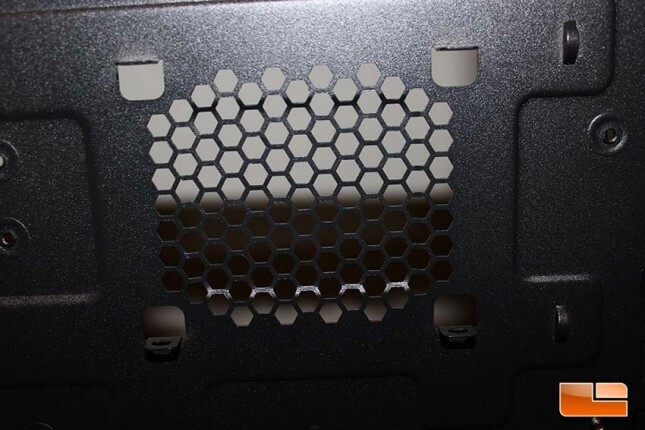 Zalman not using replaceable PCI slot covers and instead using stamped out covers creates an issue in that over time, you’re inevitably going to upgrade and change out various components and the need for physical slot covers will come in. Zalman should have included more than one replacement cover to help complete the package, or just ship the case with regular slot covers. 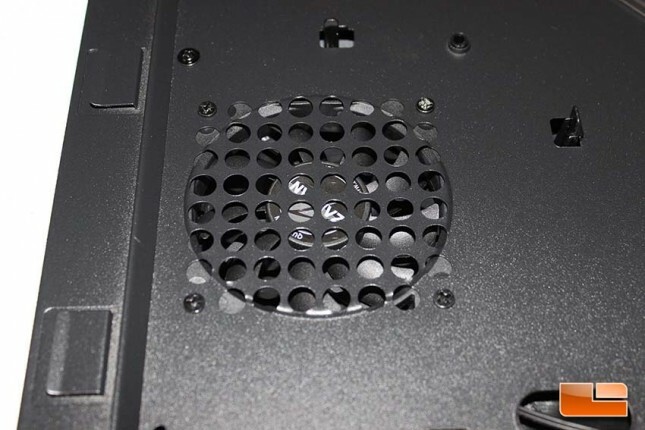 The 80MM exhaust fan fits securely in the side panel of the Z11 Neo and is easily uninstalled by removing the four corner screws and sliding the fan down. 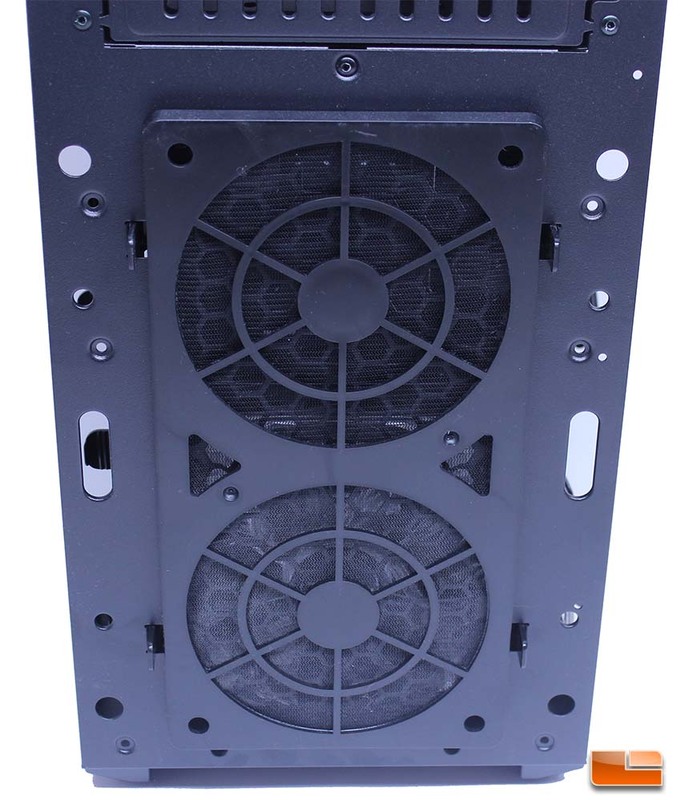 These 80MM fans, which are installed in both side panels, are powered with a four pin Molex connector. I’d rather Zalman used 3-Pin fans here, as most users with modular power supplies are able to omit the 4-Pin Molex chain, but this case will require it. Another issue is that the fans aren’t easily speed controlled because they use Molex connections. With motherboards offering multiple fan headers now, I think most users would prefer 3-Pin fans. This is an oversight by Zalman that I think they should seriously reconsider on future models. Or, even better, I would like to see Zalman integrate a side intake fan to assist in cooling the GPU and motherboard area, rather than the two 80MM exhaust fans to cool the HDD cage. Realistically, these exhaust fans are probably doing more harm than good. 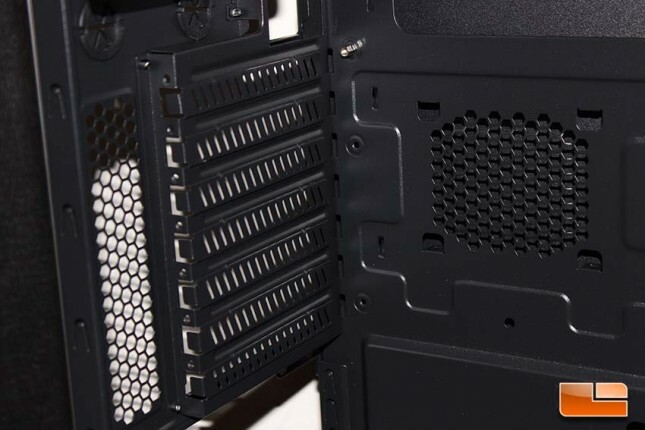 Why would you want to remove all of the air the case is able to take in from the already limited front panel? Zalman includes a 2.5″ HDD/SSD mounting location on the rear of the motherboard tray. In theory, this is great for users with a single SSD as their storage solution, as the two front drive bays can then be removed to make room for watercooling equipment if you so desire. The stock fan configuration is going to prove adequate for most users and the case offers a decent amount expansion in terms of fan placement, including a bottom 120/140MM fan mount option with an included filter. The upper radiator area can take either 120MM or 140MM fans, as well, while the front and rear fans are restricted to 120MM. The omission of rubber grommets on the cable management holes stands out, but it isn’t a deal breaker in my opinion. The different top panel cables could have also been uniformly colored black in order to enhance looks. 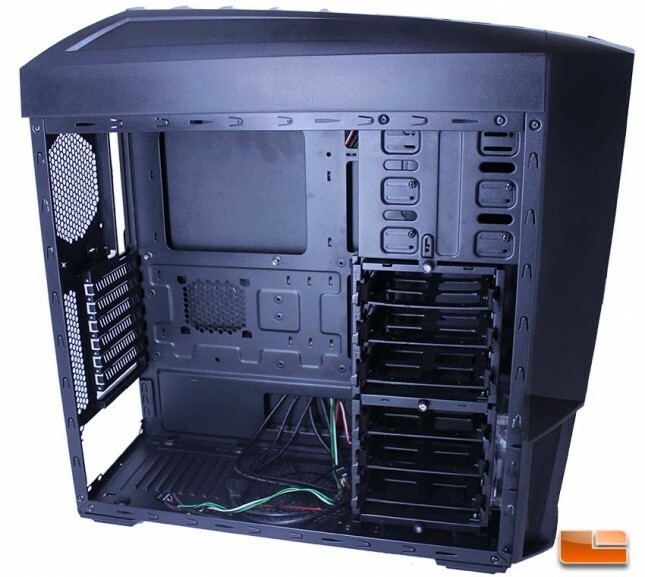 With case manufacturers taking every step to make sure their cases offer the best possible looks and cable management, Zalman really could have stepped it up here. 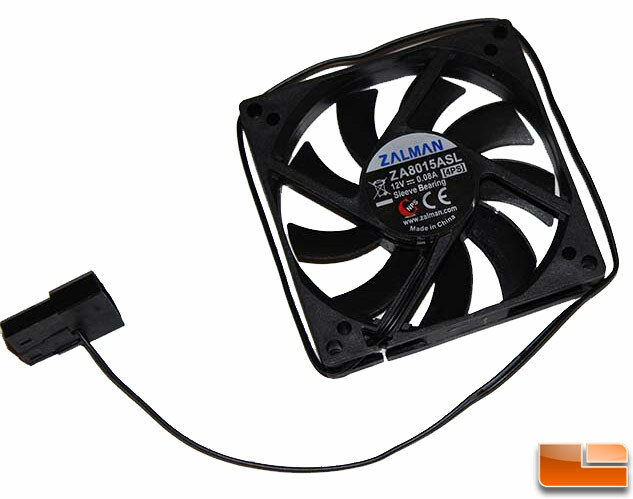 The stock fans are very basic and Zalman should have gone with 3-Pin headers for all of the fans. 140MM intake fan mounting points would have been nice, as well, given the case has 2x 140MM top fan mount points. If Zalman is looking to impress in a crowded market, attention to detail in every single area is necessary. Besides the minor issues I noted, I really liked the internal layout of the Z11 Neo. 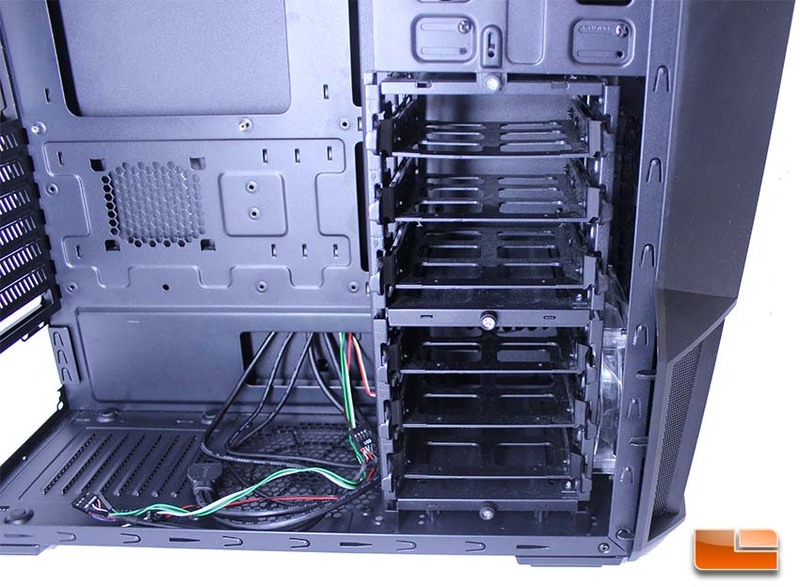 The ability to remove HDD bays to accommodate different hardware is nice and the top fan area is very well thought out and using AIO coolers doesn’t come close to interfering with any of the hardware below, which is sometimes an issue on Mid-Tower ATX cases. Overall, the internals of the Z11 Neo are well thought out and on par with competing cases. Let’s get our system built into the case next and see how everything looks.